Yeah, but: Lens hoods are cool. 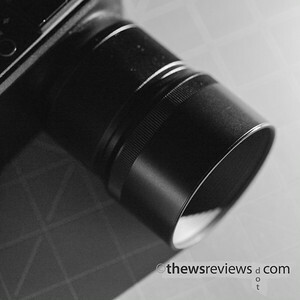 The Long Version: The Sigma LH3-01 for the DP3 Merrill might be the most obscure camera accessory I've ever reviewed, given that it's a sold-separately $48 add-on for a cult camera that's at the end of its sales career. 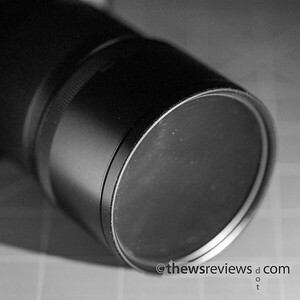 Lens hoods are not the most exciting accessory, it's true, but this is one of the more interesting ones that I've seen. Cosmetically the hood is an appropriate match for the camera; it's smooth plastic instead of metal, but the lines match. It attaches with a bayonet mount, and when reversed extends almost all the way to the camera body. It really couldn't offer any better coverage without being dramatically harder to stow. That's great, but not particularly remarkable. So here's the clever bit: the front of the lens hood is threaded for filters. 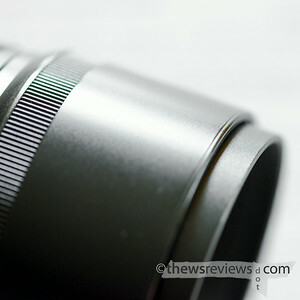 The lens is a 52mm thread, and the hood has a 62mm thread on its front. It's a nice touch. The funny thing is, though, that putting a filter on the front of the hood actually negates a lot of the ant-glare benefits of having the hood in the first place. So who not just take the hood off? Why not, indeed. Any filter that needs to be rotated – polarizer, variable or graduated neutral density – will benefit from the improved access of being on the front of the hood, and that slight increase in shading might still be worth the effort. Might. But any filters that don't need interaction, like the two- or three-stop ND filter that the DP3 should have had built-in, should still go on the lens. There are some more exotic uses for the lens hood threads. A rubber lens hood pressed up against a window avoids most reflections, and attaching it to the end of the LH3 would be less restrictive than putting a really tiny one on the end of the lens itself. 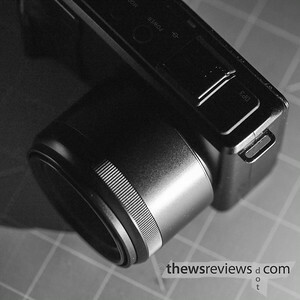 If the Sigma DP3M wasn't terrible in low light that might be useful for the local aquarium. I suppose there's nothing stopping me from getting a 62-77 step-up ring so that I can use my big filters, and then buying a cheap screw-in hood to protect the filter from glare. That way the hood that's on the filter would still be able to rotate the filter that's on the hood, giving the best of both worlds. Or I could just buy a 52mm screw-on hood for $4.16 with free shipping – that would work, too. I do appreciate that Sigma thought to add an extra feature to something mundane. But at some point, no matter how clever the idea is, there comes a point where workarounds and contraptionizing become more effort than they're worth. And if that isn't the motto for the entire Sigma DP series, well, maybe it should be. Updated Forty Days Later: The idea of spending just a small amount of money on a screw-in lens hood that would let me rotate a polarizer just kept making sense, so I did it. It turns out that the metal screw-in hood that I bought from ebay extends farther from the lens and has a narrower opening, both of which give better coverage than the original. The photo above shows it screwed onto my polarizing filter inside of the sigma hood – and yes, I did risk never being able to disassemble that contraption for the sake of this review. Live and learn, right?